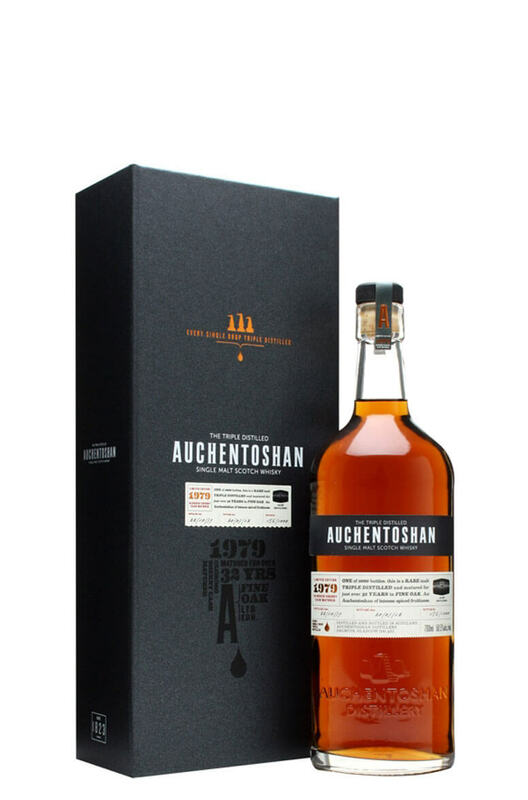 A limited edition single cask malt from Auchentoshan. This has been aged entirely in oloroso sherry casks for 32 years. This is possibly the finest whisky to have been released by the distillery. Aged to perfection, this is one for fans of fruit and spice laiden whiskies that have had extended ageing in sherry wood. This is bottled at natural cask strength of 50.5%. It was distilled on 22/10/1979 and bottled 20/7/12.